Thanks to the program, Jolene says they are, "seeing men reading children's books unashamedly with the stigma of this being erased, due to their now being respected as preparing for their children's visits. The incarcerated parent is now in a positive role model position, which is something very rare in the prison setting." 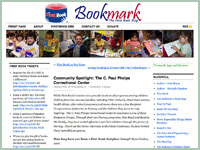 First Book National Book Bank only charges them .35 per book for shipping and handling so $7,000 will buy close to 20,000 books for 3,324 children that their programs benefit. Jolene lives on the prison grounds. 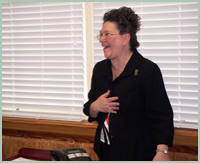 She recently attended the 10th Annual Fatherhood and Families Conference in Phoenix as a speaker. "Here's our final invoice. 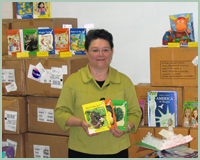 Jenny Jones has purchased a total of 19,694 books for the children of our offenders. It has been a great honor to be named one of Jenny's Heroes. I know the impact this donation has had on high risk, low economic level children. You have truly made a difference in thousands of children's lives. May you and your Foundation be extremely blessed. Sincerely, Thank You. I missed my goal of 20,000 books for $7000, but not by much. This was truly a great experience. Jolene"
So far, Jolene has purchased over 12,000 books and she's only spent about half of the money. Jolene, you're the bargain shopper of the year! The first shipment of new books has arrived! 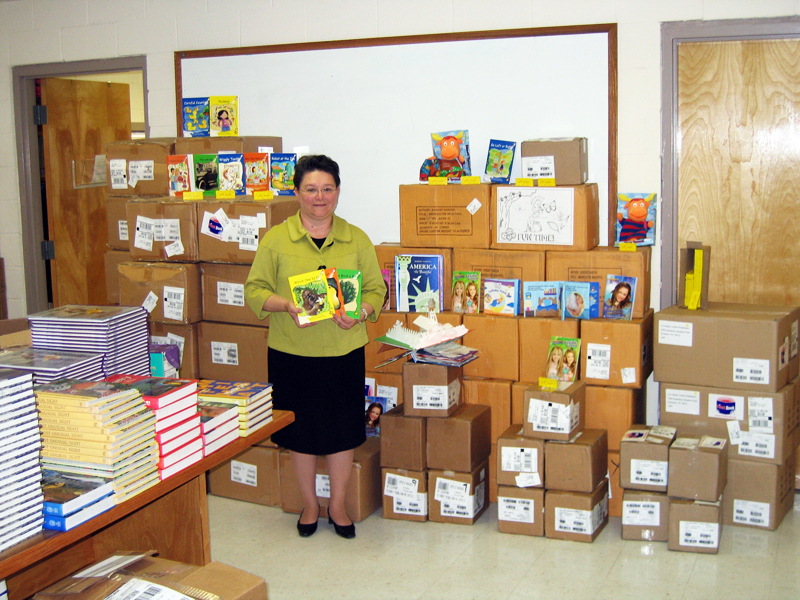 Jolene received 1,794 books and 2,000 boxes of crayons for visiting kids to have fun with. "This is just like Christmas!" she said. "The offenders are just as excited as we are." 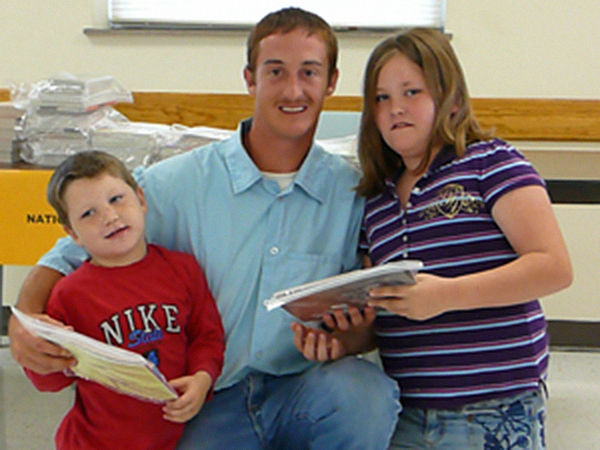 Who would have thought that inmates would be excited about receiving books? That's great to hear. Now Jolene has a lot of boxes to open! Jolene says she received phone calls from lots of people congratulating her yesterday. She was on the noon news and the reporter ended with "Way to go, Jolene!" I was not aware that because of budget cuts, she was buying books on her own so I know this grant comes at a good time. The offenders met her yesterday and told her how happy they were to know that the reading program had been funded. 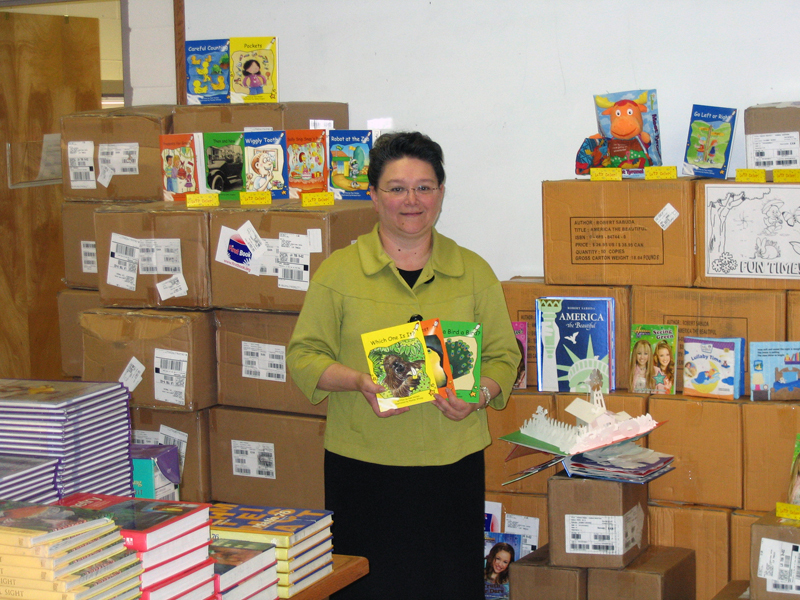 "You made not only my day yesterday," said Jolene, "but hundreds of silent voices were appreciative of your gift which will allow the simple things in life- books, reading, and the opportunity to read to their children to be afforded them for another year. I read somewhere that 'as you do unto the least of these my brethren, you do it unto me...' Thank you again. I am proud to be one of Jenny's Heroes." And Jolene, it's a privilege to be a part of this life-changing program. I placed a surprise phone call this morning to Jolene with the help of Warden Robert Henderson, who assembled some staff members in his office for a "meeting" concerning their preparation for the pandemic flu. 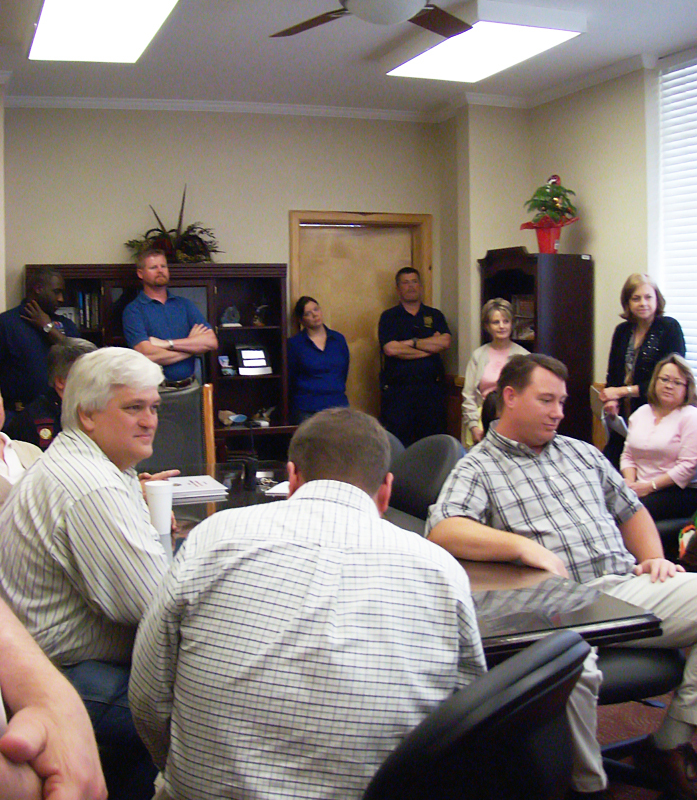 Jolene was surprised when I told her the meeting was really about her and I heard a burst of applause in the room. Jolene told me what a wonderful program this is, even Warden Henderson said it's been very successful. He and I talked about how many offenders have no relationship with their fathers, but they are breaking that cycle with their own kids who now look forward to the visits with their incarcerated dads. Prior to this literacy program, offenders wouldn't go to the library to avoid being ridiculed for reading children's books but now they are being respected for being good parents. Videos are sent to the children of men about to be discharged to help bridge the gap between jail and home. 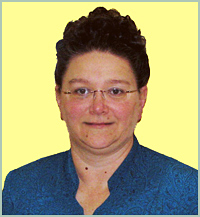 Jolene has worked at the prison since 1978, left in 1984, and came back in 1999. She is divorced with two daughters - a 23-year old who is married and an 18-year-old soon to graduate high school. 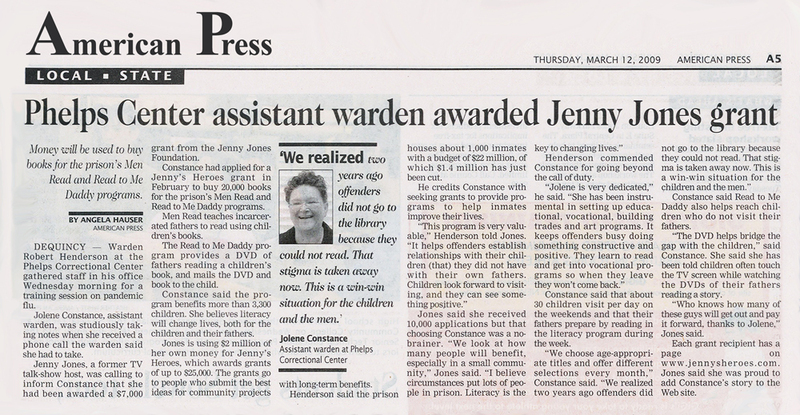 03/11/09: Jenny wrote... "Jolene, I strongly believe too that literacy can help these men change their lives and this program is a great way to accomplish that." 03/11/09: Damon wrote... "These books will go a long way to help continue this successful program. Keep up the good work." 03/11/09: Theresa Heard wrote... "Way to Go!!!! I am so proud of the work you do. Keep it up.... the sky is the limit. You are making a difference in many lives. Awesome!" 03/12/09: Cheryl Inboden wrote... "Hey Sis, I am so proud of you. I know this came at the best time. So many families will gain from this program that you began. 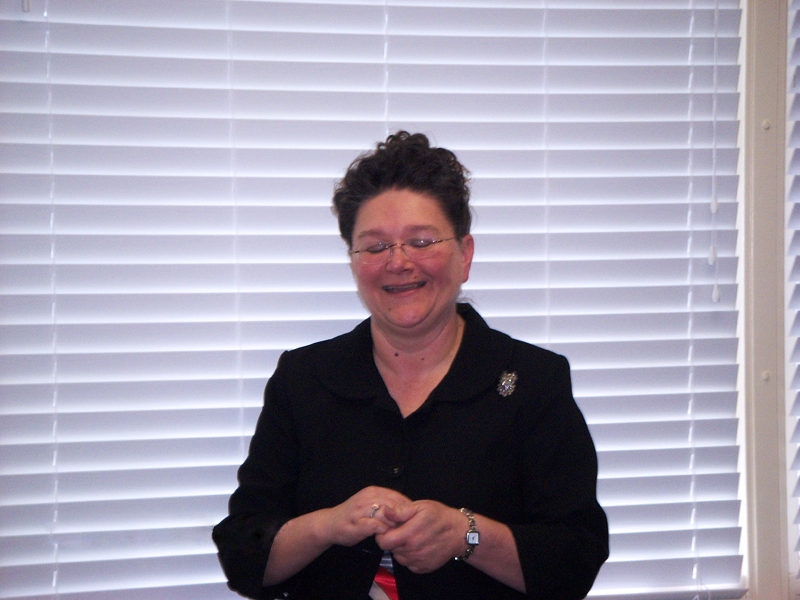 I am so thankful for Jenny Jones to have chosen your cause to fund. This is a blessing. Thanks for caring about families. Wow, you are awesome!" 03/12/09: Mom wrote... "That's my girl. I'm so proud of you and now others can see what a beautiful unselfish person you really are. GO JOJO!! I love you." 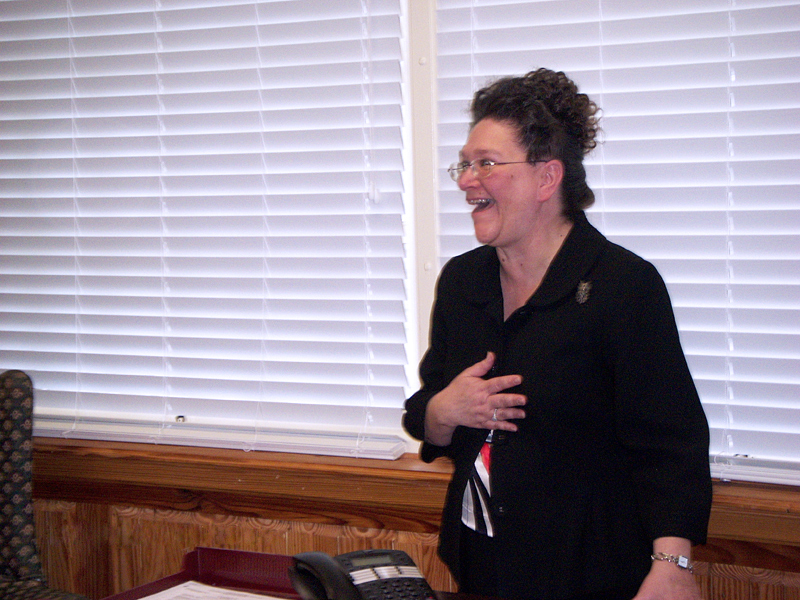 03/16/09: Terri wrote.... "Kudos to you Jolene for reaching out to help those in this situation. What a great idea! I wish you continued success." 03/24/09:Eliza wrote.... "Jolene, Wow. 20,000 books, $7000.00, self-esteem, priceless! It must be incredibly rewarding for these men to be able to share that part of their child's life and to have their kids look forward to seeing them. What a bonus! And then on top of that, just learning to read at any level opens a massive world. Being an consummate reader, I can't even imagine life without books. I'm impressed by your insight into this need. It may not always be an easy road, but the rewards, priceless. Nice going."